Anyone else finding that the new Rightclick+Down gesture to open links in a new tab (which is superb by the way) sometimes interferes with the Rightclick+Down gesture to open a new tab? I'm finding that sometimes I do the gesture in what I think is an empty space but the new tab actually loads some page or other. I just updated to 29.0.1795.30 (on Windows 8.1) and it crashes on startup every time if activation order tab cycling is enabled, before the window even shows up. It starts fine with the --no-experiments flag or with that experiment disabled, but now I miss having a useful ctrl-tab. Edit: I just realized I can configure ctrl-tab and ctrl-shift-tab to cycle through tabs in recently used order. Awesome! I think that should be the default, but I'm happy as long as it's an option. New build - Opera beta 29.0.1795.41, the change log, and the announcement. "We’re getting close to the end of the Opera 29 beta life-cycle, so this is hopefully our last beta build update for Opera 29." Whatsapp Web app (https://web.whatsapp.com/) doesn't work any more with last beta. Get only the message: "WhatsApp Web funktioniert mit Google Chrome 36+, Um WhatsApp Web nutzen zu können, aktualisiere Chrome oder besuche Mozilla Firefox, Safari, oder Opera. AKTUALISIERE GOOGLE CHROME". Suppose its caused by the chrome version used. In Google Chrome Browser Whatsapp works well. Found out its caused by extension "user agent switcher". Was set to "Opera on Windows". If i set it to "Opera Dev" Whatsapp Web is working well. "Our Mobile and Desktop teams have never had such a good reason to cooperate. With the release of Opera 29 today, we bring you tab synchronization, which works both in Opera 29 for computers and the latest version of Opera for Android. Now, you can access the same open tabs, whether you are on your laptop or your mobile phone — perfect for those moments when you need to continue reading your favorite website but need to be on the go." "To sync your tabs and see them across your devices, select a profile icon next to the address field and create an Opera account or sign into your existing one. 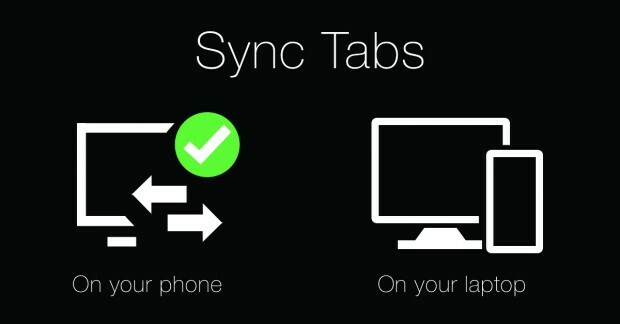 Then, you will see your open tabs from other devices directly in the newly refreshed start page, under the Tabs button. From there you’ll find a list of your tabs that are open on other devices, as well as your Speed Dial entries." "We’ve done research in several countries recently that shows people browse on many devices, but when they browse on computers, it’s for serious stuff — work, research, banking or purchasing stuff online. To do serious stuff* you need a browser that allows you to be more productive. You can now customize your keyboard shortcuts by setting any keyboard shortcut combination in the settings page. You don’t necessarily want to listen to audio at full volume when you open a browser session. The new audio indicator will make it much easier for you to find a tab that is blasting sound. Other productivity improvements include more mouse gestures, centered standalone images and integrated history in the start page, among others. *Of course, to us “serious stuff” includes gaming and entertainment, since we also take having fun seriously." It is so ugly and generic. Opera used to have class. Now it is just generic. Speed dial looks hideous and makes the themes pointless. Ugly... ugly... and windows 8. Why? Why? Why ruin a good product?